Customize the type and frequency of the notifications you receive. 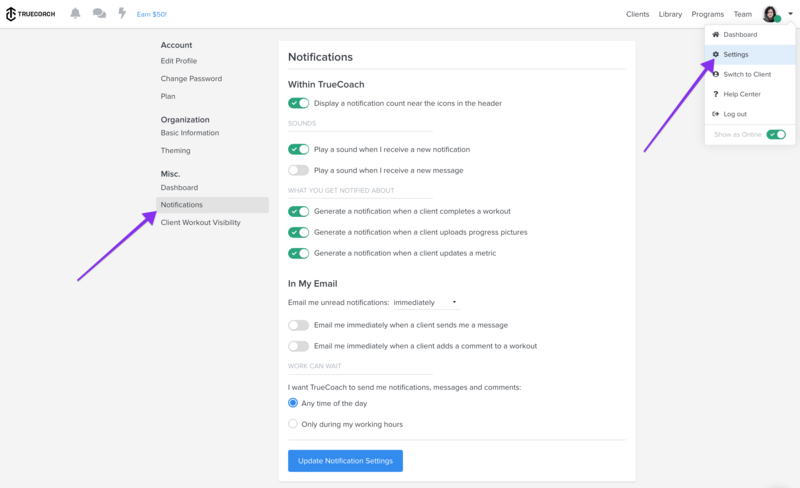 Notifications are great to keep us in tune with our client's training, but they can also create excess noise, which can distract you from your work. This is why we offer a wide range of options for notifications including a 'work can wait' mode. The total unread notifications alert will send you an email at your desired interval (you have this set to hourly) telling you that you have X number of unread notifications. Those include workout completions, metric updates, progress photo uploads, video uploads, etc. To start customizing these, click into Settings > Notifications.